The law firm of Colombo & Hurd represents immigrants and visitors to the United States who may be at risk of deportation/removal proceedings through the immigration court system. In particular, we have extensive experience litigating deportation cases in Orlando Immigration Court before Judge Grim, Judge Ghartey, Judge Chapman, Judge Karden and Judge Lippman. HOW DO IMMIGRANTS END UP IN IMMIGRATION DEPORTATION/REMOVAL PROCEEDINGS? Immigrations and Customs Enforcement (ICE), also known as the immigration police may institute deportation/removal proceedings due to immigration violations or fraud, felony or misdemeanor convictions, visa or conditional green card expiration, and employment violations. The above typically occurs when there has been an encounter with ICE agents. The most frequent example we have seen is when a person is arrested for a crime, whether it be a felony or misdemeanor. Just being placed in a local jail increases the risk of being placed in deportation/removal proceedings substantially due to the fact that most local jails have an obligation to contact ICE if they discover the person arrested is out of or has no lawful status in the U.S. Even if the person has not been convicted of the crime, ICE will still likely place an immigration detainer/hold on them in order to process them for deportation/removal proceedings. The gatekeepers to the U.S. at its borders and ports of entry, Customs and Border Protection (CBP), may institute deportation/removal proceedings essentially denying a person’s admission to the U.S. due to the same reasons mentioned above. Every case is different; however, the typical situation is either when a person has been caught crossing the border unlawfully or a person has been found inadmissible at the airport/port of entry. If caught crossing over, most people are placed in a detention facility. While some people may be lucky to bond out, under the harsh rhetoric of the Trump administration the majority will be forced to fight their cases from within the walls of the detention center. If denied admission at the airport/port of entry, depending on the situation CBP officers can allow the person applying for admission to withdraw their application for admission to the U.S. at which point they will have to board a plane back to their home country at their own expense, but in return not receive an order of removal. If the person refuses to withdraw their application they may be removed in expeditiously without the opportunity to see a judge. If the person is a returning lawful permanent resident seeking admission they could end up detained until a hearing before an immigration judge becomes available or they may be released for what is called a deferred inspection, which is an interview with CBP to determine admissibility at a later time. In either scenario the person may end up detained by immigration or allowed to remain paroled pending a hearing before an immigration judge. United States Citizenship and Immigration Services (USCIS) can also institute deportation/removal proceedings if after filing for an immigration benefit it is determined that the applicant is inadmissible or deportable/removable from the U.S. This can also occur when a person applies for the removal of their conditional resident status (I-751) and it is denied. At that point the case is referred to an immigration judge as the person is to be stripped of their resident status. Lastly, when USCIS discovers some fraudulent conduct or issue in a former application of either a lawful permanent resident or citizen, it can result in rescission of their resident status or revocation of the person’s citizenship. The next step is usually going before an immigration judge. WHAT CRIMINAL CHARGES CAN LEAD TO DEPORTATION PROCEEDINGS? As noted above, a criminal record can open the door to deportation proceedings. Whether you are a legal resident or an undocumented immigrant, a criminal conviction can potentially lead to removal proceedings or cause significant issues when you seek to travel, become a citizen, renew your green card, or adjust your immigration status. Under United States immigration law, there are certain categories of crimes that will lead to the deportation of a non-citizen, regardless of your status as a green card holder or if you have well-established ties to the United States. These crimes, known as deportable crimes, include drug offenses, firearms offenses, aggravated felonies, domestic violence offenses, and crimes of moral turpitude. There are also crimes that can make a non-citizen inadmissible, which means that you will not be able to re-enter the country after leaving, become a U.S. citizen, or apply for a change in status from illegal to legal. There are also some crimes that can lead to deportation even before you are convicted. Immigrants with past or current criminal matters should consult with an attorney to seek guidance on how their specific issues may impact their immigration status. At Colombo & Hurd, our Orlando immigration lawyers are experienced at helping immigrants who are facing criminal charges. We offer a range of services for our clients, including assisting immigrants in vacating pleas in prior criminal convictions, representing clients who have been detained by ICE due to criminal charges, and defending clients against criminal charges in local, state and federal court. For immigrants who have been placed in removal proceedings due to criminal charges or a conviction, Colombo & Hurd offers top-notch legal representation. So my family member or loved one is detained, what now? When immigrants are detained by ICE for removal proceedings, they have a right to contact an immigration attorney. 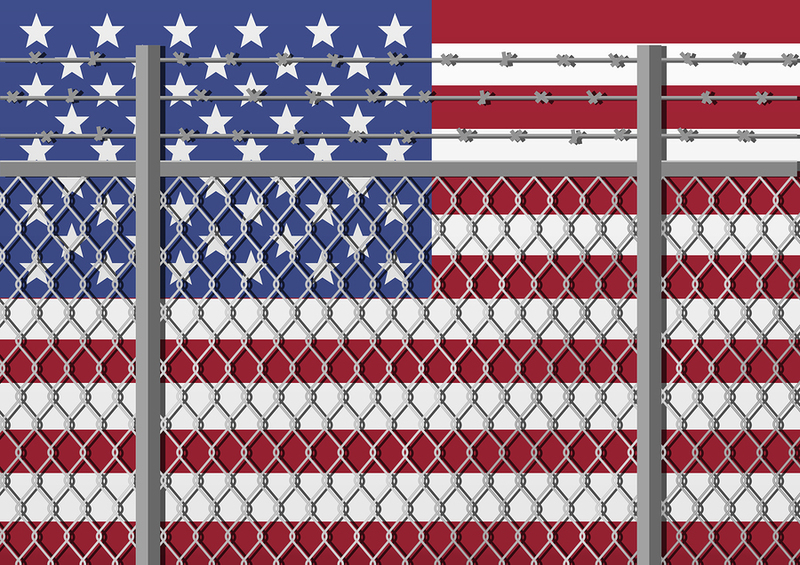 In certain situations, they may be able to seek freedom by posting an immigration bond. At Colombo & Hurd, our Orlando immigration lawyers are seasoned at handling immigration bond hearings and can help you evaluate if your loved one is eligible for an immigration bond. Federal immigration guidelines provide that immigrants who are not classified as arriving aliens or terrorists may seek immigration bonds, provided that they are not considered aggravated felons, do not have convictions for multiple crimes of moral turpitude or for crimes involving certain controlled substances. An immigration judge will evaluate an immigrant’s eligibility for bond based on a number of factors, such as his or her danger to the community, criminal history, ties to the United States, ability to pay the bond, and eligibility for relief from removal or deportation proceedings. If granted, immigration bonds typically range from $1,500 to $20,000. It is important to know that the process of requesting and obtaining a bond in immigration proceedings is much lengthier than that of a criminal case. While in a criminal case a person typically sees a judge within 24 hours for a bond hearing, in immigration proceedings obtaining a bond hearing can take up to 2 weeks or more depending on the detention center. If you or a loved one has been detained for removal proceedings, Colombo & Hurd may be able to intervene on your behalf. We will assess your eligibility for an immigration bond, file a Motion for Speedy Bond Hearing, and present evidence on your behalf at the hearing. We will aggressively defend your rights at the immigration bond hearing and throughout the deportation process. If your immigration case is denied by an immigration court your Orlando immigration lawyer will advise you of your rights. This may include filing an appeal of this decision, filing a motion to reopen the proceedings or reconsider the decision via the filing of an I-290B Notice of Appeal or Motion. The experienced attorneys of Colombo & Hurd can help you determine which option is best based on the specific facts and law of your case. A motion to reopen asks the Court, Board or Agency to reopen your immigration case based on new facts or evidence that was not reasonably available at the time that the case was decided. In contrast, a motion to reconsider is used to ask the court to reconsider its decision if it did not properly consider evidence that is already in the record, or if it incorrectly applied the law. While Motions to Reopen or Reconsider must generally be filed within 90 days of an order denying your case, a person who has had their case denied by an immigration judge only has 30 days to appeal their case. Because of the limited time a person has to take action on the above remedies, it is imperative they contact an experienced immigration lawyer such as the lawyers at Colombo & Hurd who can timely review the record of your case and make a proper assessment of how best to proceed. At Colombo & Hurd, we understand the anxiety that our clients face when they are subject to deportation proceedings. We are committed to helping our clients throughout the deportation process, using a combination of proven strategies to meet your needs. We personally visit ICE detention facilities to protect our clients, and are committed to helping our clients avoid unjust deportations. Contact our Orlando office today at (407) 478-1111 to schedule a confidential consultation, or to learn more about how we can help you.